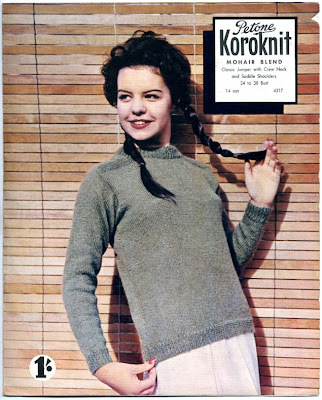 New Zealand has a long history of yarn crafts. 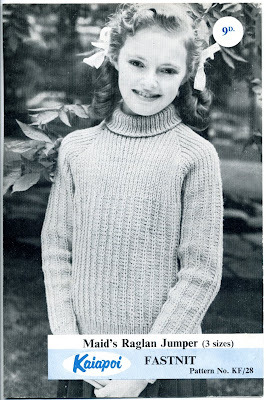 Many of our early wool manufacturers have since closed down, but the patterns they produced for their yarns can still be found, neatly filed in Gran's knitting cupboard, or piled high in local op shops. I have such a love for these vintage patterns, and I've acquired so many that I now sell them on to others at my Etsy shop Clutch Instructions. Here are a few of my favourite New Zealand designs. 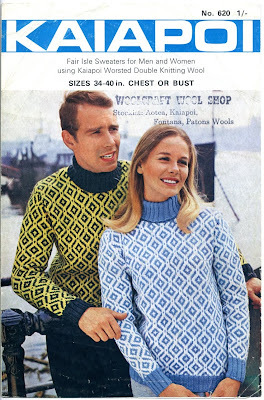 The pictures on the 70's patterns crack me up the most. They are like pieces of art. I still like that men's cardigan you showed us recently ... maybe it was the man!! 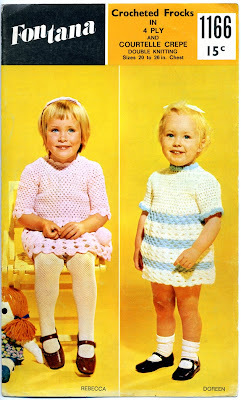 There are some true classics in your collection and it's wonderful that they are getting a modern twist by those clever crocheters out there. When I was a teenager I was an avid user of the crochet hook, made myself a bikini!!!! That green dress reminded me of it, shows the same colour. Funny, if one was going to make a large piece like this today it would be out of fashion by the time one could finish it! How the value and appreciation of clothing items has changed over the decades. Who knows, with the growing handcraft movement we might get some of it back!